Want to buy a good tablet but worried about going broke? You may not need to spend a cent over $50. There are excellent cheap tablets that you can get for a very reasonable price that will serve all your needs. You only need to pay more if you want a branded tablet or a highly specialized tablet for professional use. Currently, the best budget tablet is Fire Tablet by Amazon. It comes with state-of-the-art features and carries a very reasonable price. Amazon’s beautiful new Fire tablet is the best budget tablet you will find anywhere. It’s available in four stunning colors. The Fire tablet is now powered by Alexa, Amazon’s answer to Apple’s Siri. You can read ebooks, watch movies and play App games easily. The voice-powered AI is now cloud-based. Users only have to press and pose a question. 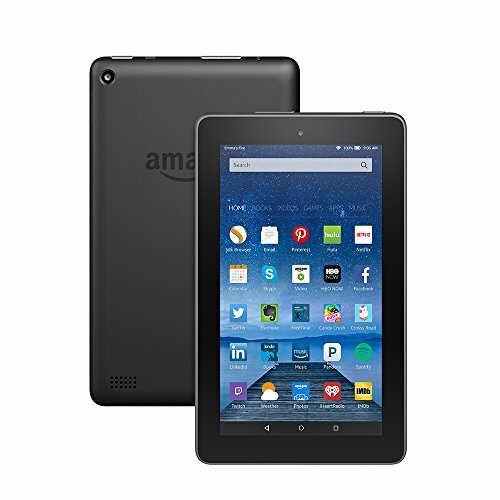 The Fire tablet provides access to the Amazon Underground app marketplace where most apps are free. Of course, if you are an Amazon Prime member, you will have access to more free features. The tablet has 8GB (up to 16GB) of internal storage so you can store plenty of movies and music. With microSD card, storage is expandable to 200GB. The 7-inch screen is generously large. It’s optimized for reading books and playing games. The tablet has a 1.3 GHz quad-core processor, which is fairly powerful. We didn’t experience any lag or freezing issues. The battery can last up to 7 hours. Recharging is relatively quick. The downside to all these amazing features is that everything is related to Amazon. Customization is highly limited. We were limited to using Amazon apps and services. The price may not seem worth it unless you have a Prime subscription. 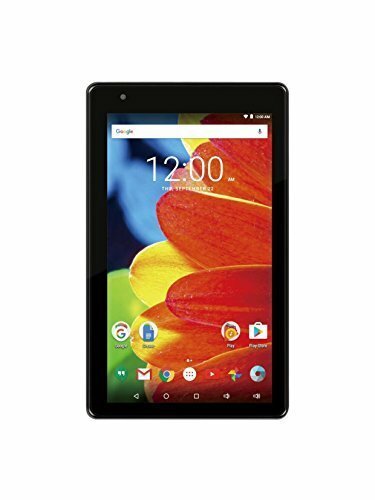 This is a fairly decent tablet that offers great benefits for the price. We didn’t expect much, but we got much more in return. This highly affordable tablet is really lightweight. It’s great for lugging around in a bag or for kids to play on. The 7-inch touchscreen is highly responsive. This tablet runs on Android 6.0 Marshmallow. We were not too impressed with the engine. It only has a 1.2ghz quad-core processor. It’s not very fast but the lag is minimal. However, don’t expect superior multitasking capability. It has 1GB of memory and 16GB of storage. This is decently sufficient for most tablet needs. This tablet is great for simple tasks like streaming video, reading ebooks, and browsing the web. Just don’t expect too much. It has all the necessities like Wifi and Bluetooth. There’s even a webcam video for Skyping. The battery capacity is small. Don’t expect to use it non-stop for more than 3 or 4 hours. When streaming, the battery won’t last more than 2 hours. Even smaller smartphones have better battery life than this. What we really liked about this tablet, other than the price, is the impressive touchscreen. It’s multi-touch and supports a wonderful 1024×600 screen resolution. 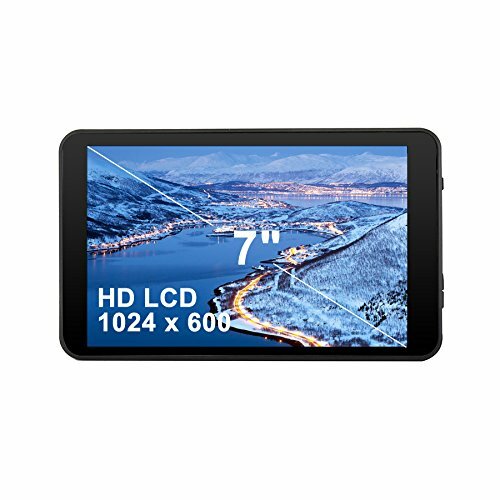 The screen is the closest we came to Full HD on a tablet this cheap. The picture quality is amazingly crisp and sharp. It’s much easier to read ebooks and watch videos on this tablet. You can easily stream HD videos and not lose quality to any degree. This tablet has an impressive 8GB of RAM, like a small PC. The SD card supports up to 32GB of storage. It only runs on Android 4.4, which is quite outdated now. But considering the price, it’s something we could forgive. This tablet is optimized for memory storage. Thanks to the high capacity RAM, performance is about 20 percent faster. The Allwinner A33 Quad Core high-speed processing platform and the quad-core GPU also ensures relatively decent levels of performance. It’s possible to play 3D games on this tablet. However, don’t expect apps and games to run super fast. We did experience some lag and freezing issues. We were disappointed that this didn’t have Bluetooth options. Other than that, this tablet is pretty great for gaming and general entertainment. Most cheap tablets are suited only for minor gaming and video streaming. This one takes things further and enables some work use too. The processor is a 1.3Ghz quad-core Azpen Innovation A746. It’s not the fanciest on the market but it gets the job done. The tablet runs on Android KitKat. So don’t expect it to be super fast or that reliable. We did experience some screen-freezing issues. The screen can go black and not turn on at times. 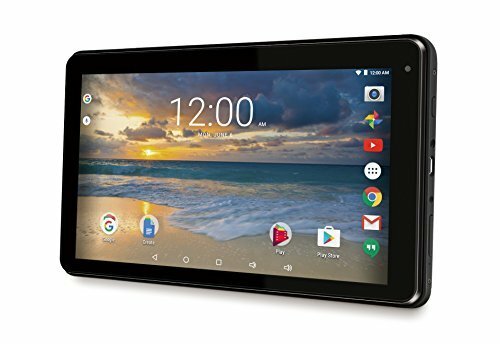 If you have a good wireless connection, this tablet is good for playing games and watching videos. The 7-inch LCD screen supports HD video. Text and letters are really clear on this one. It has some Office apps to get work done. However, don’t expect iPad-level efficiency. This tablet has a front-facing camera. It’s good for video chatting but not much else. We highly recommend this tablet for kids. They can play games easily and if they break it, replacing will be cheap. It can play KitKat-supported games like Minecraft, Catan, and Terraria. But most new gaming apps won’t work. The vivid 7-inch screen. Despite the cheap tablet, the high-res screen is akin to something you might find on a $200 tablet. The screen resolution is particularly clear and sharp for playing video games. Readers might find ebook text more crisp with this tablet. We expected a slow OS considering the price. While it’s not super fast, there are some features that protect against extreme lag. A 1.3GHz quad-core processor supported by 8GB of RAM. This tablet is much faster than what we expected it to be. The performance is fairly decent. This tablet has both front and rear cameras. That’s a major plus for selfie-takers and Instagram hounds. The RCA comes with built-in Bluetooth. That’s a rare feature for tablets in this price range. This tablet has no cellular features. You can use a SIM and make phone calls. Also, there is no separate cord provided for charging. We had to get our own mini USB cord. 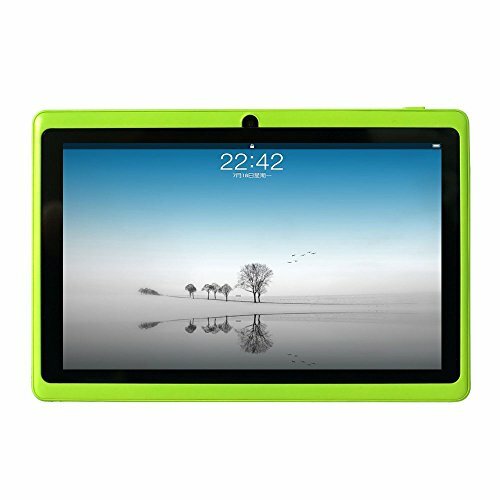 This is another tablet we recommend for kids. While adults may not find many useful features, kids will love watching videos and playing games. Carefully read the specs. Some budget tablets may have the same specs as a more expensive branded one. So, know what the specs mean to make the best decision. If you want to simply surf the web, play the occasional gaming app or read ebooks, a tablet around $50 will be more than enough. If you want to multitask, play more games and use the tablet for work-related tasks, you should spend $20 or $30 more on bigger internal storage and a faster processor. Most tablet cameras have very low MP rates and take pictures like smartphones 5 years ago did. So, it’s best not to bother with camera specs at all. The size of the tablet decides how portable it is. Tablets with screens of 8 inches or less weigh less than a pound. These tablets are very easy to carry around. Tablets with larger screens may weigh more. The large screen also makes these tablets harder to carry in a handbag. Find a tablet with a detachable keyboard like Viking Pro mentioned above if you plan on using it for work. You can also separately buy a Bluetooth laptop keyboard for tablets. Make sure the tablet you buy has Bluetooth capability if you want this option.